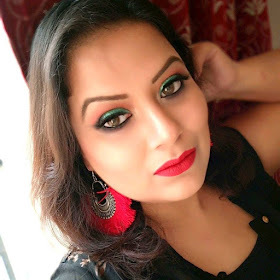 Between last 2 month I am using only this scrub on my skin and I found that it really work great on my skin as I got loads of compliment for my flawless, glowing skin in few of my recent Looks that I have done…so that give me courage to do a post on this…. Now a days different brands comes up with loads of scrubs that claims lot of things and yes they might be true to their claim but the prices or availability of it might be an issue. 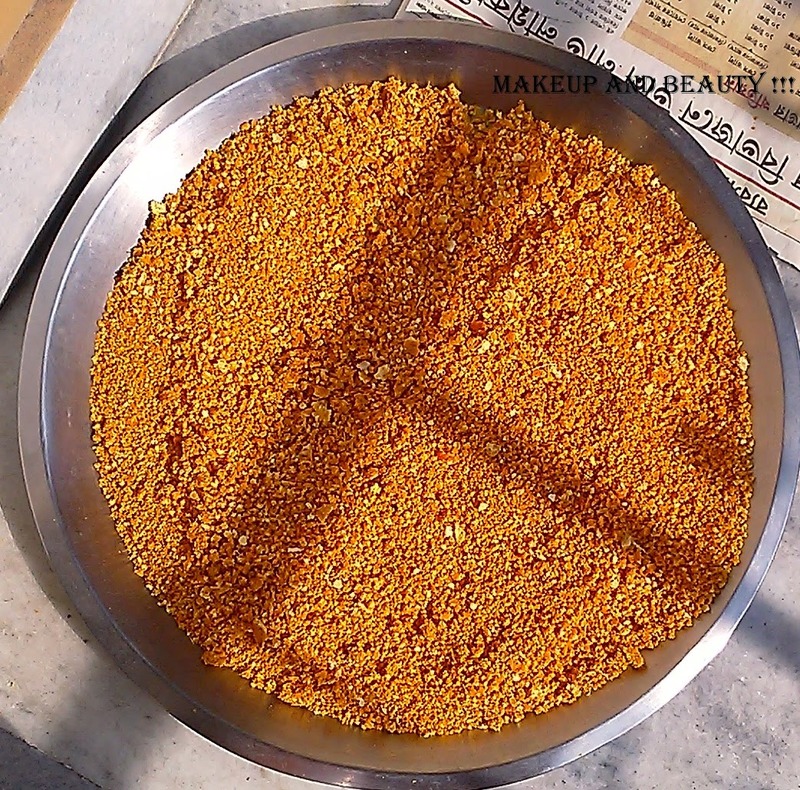 But if you can made scrub at home and that too without any extra costs or preservative I think it will be bonus right? 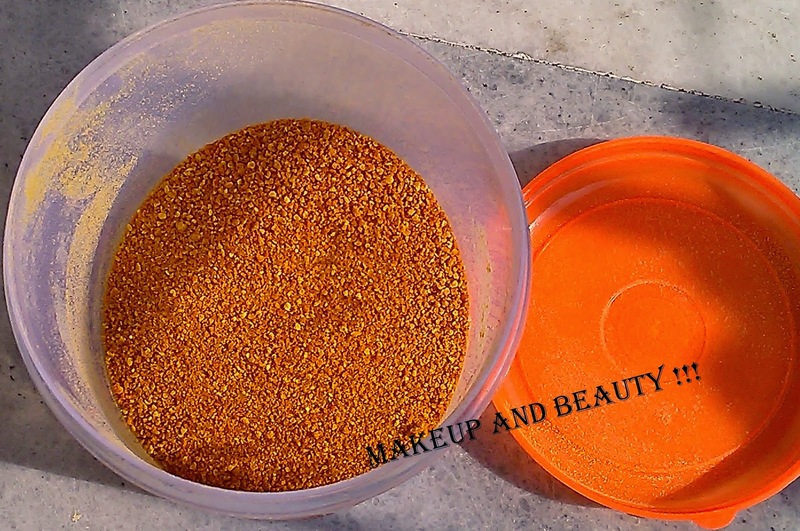 So here are the detailed procedure of how to make scrub from orange peels. Trust me it going to be fun!!! 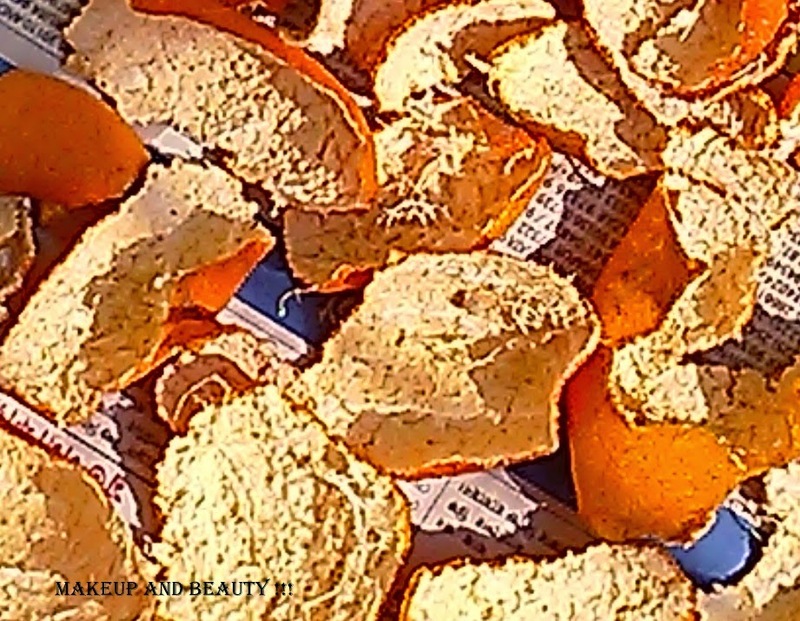 · Peel the oranges, take the peels and wash thoroughly (it should be a sunny day before you decide to wash the peels) as wet peels if not properly dried within few hours then it will turn black on second day as fungus grow up easily on it. 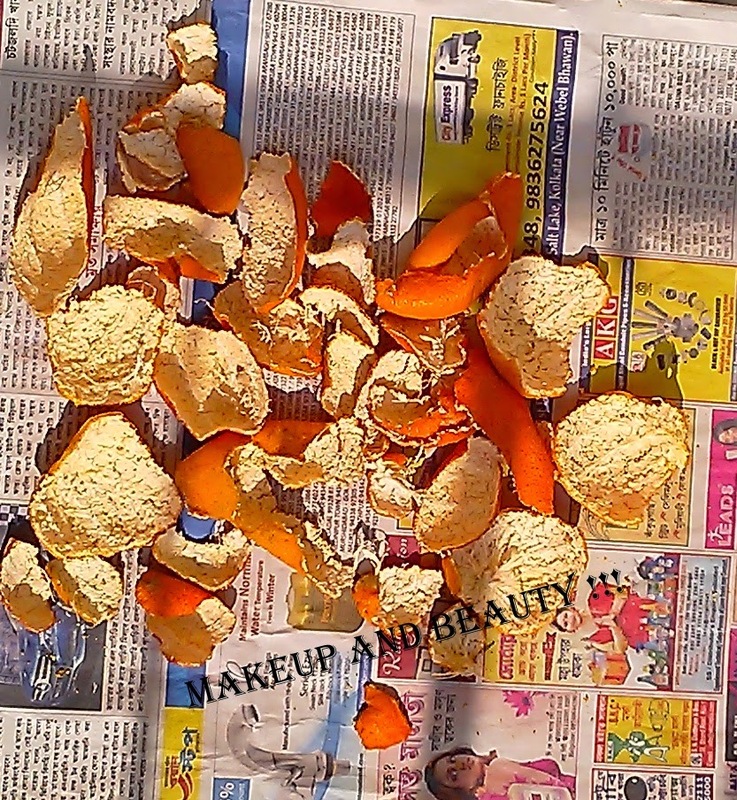 Next spread the washed peels onto some clean old newspaper and leave it in direct sunlight for whole day. Keep it like this for next 3-4 days or more depending on the amount it dried. Finally it will dry and turn hard and brittle easily. 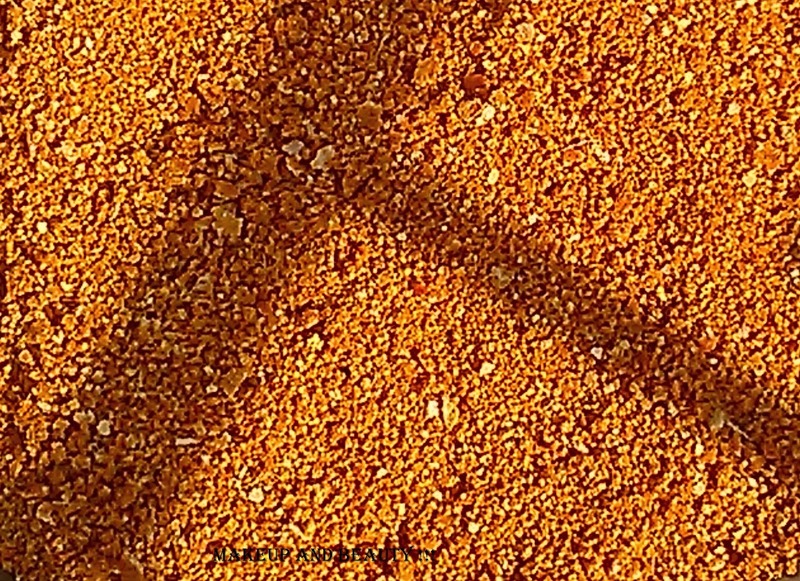 Then simply grind the hard peels and then spread the powdered peels onto a big plate and keep it in sunlight for next two days. So that it will turn more dry. 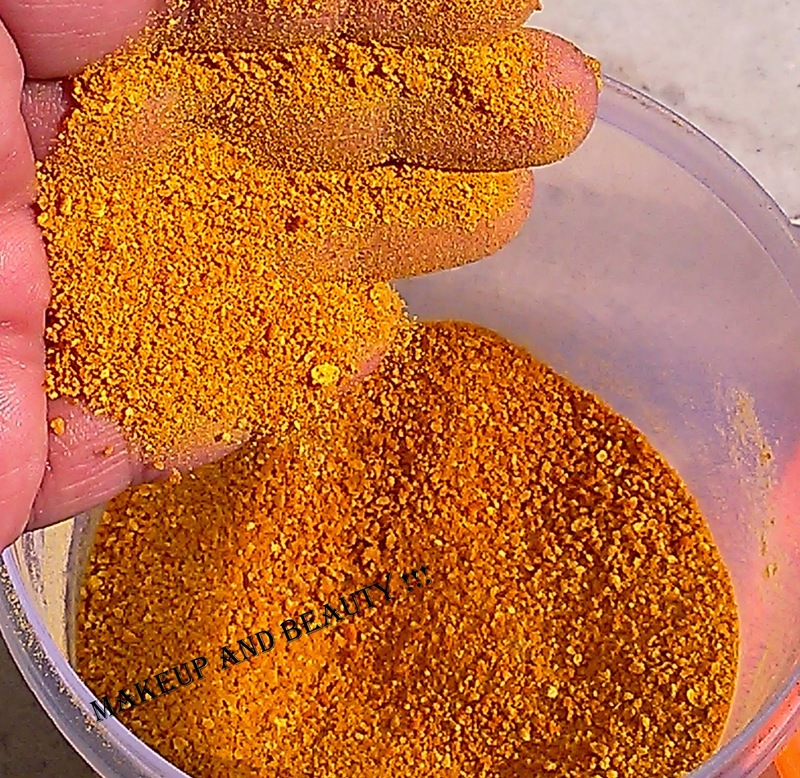 Remember the more it dries the more will be grind easily into powder. Then after two days of drying the powdered peels grind once again and see it will turn into fine powder. 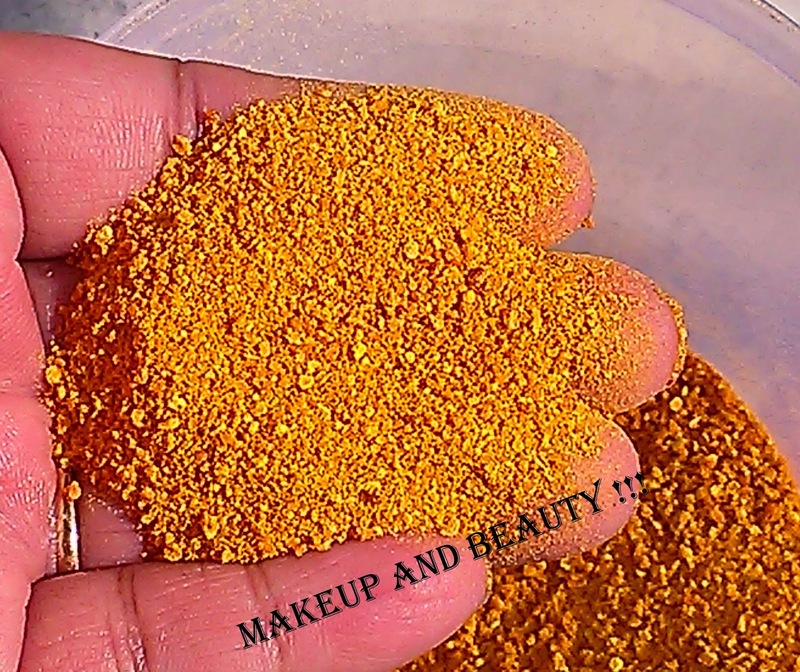 · Transfer the powder in an airtight container and keep it in sunlight every alternate day to just maintaining its quality as we are not using any preservative. Now your scrub is ready to use. Mixed it with yogurt, lemon or with your body oil to scrub your entire body and face and just see the result. Our facial skin is more sensitive than body so I will not suggest you to rub the scrub onto face, just apply it like face mask, let it semi dry and wash off and then just see the result. Orange scrub when mixed with yogurt and lemon it will remove tan from your body. If you apply scrub with your body oil and wash it off then it will keep your skin soft and moist. Hope you find post helpful, if you have any additional ideas do share in the comment section below, I would love to hear it.